My two rides over the weekend were both really nice. 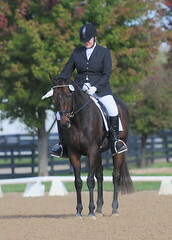 We’re riding in the outdoor every moment possible – the footing is better and it shows in the horses’ gaits. 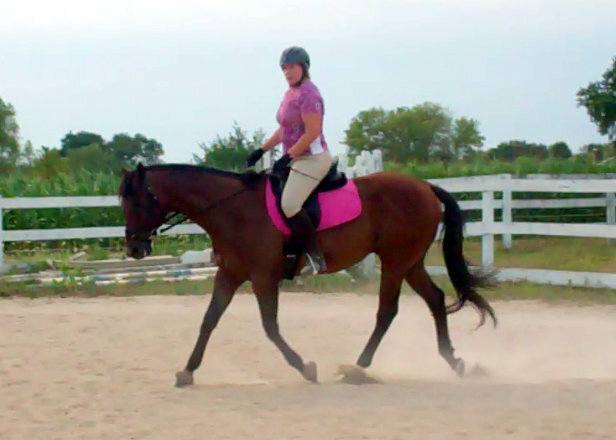 The footing is also a bit deeper – similar to what we see at shows – and provides some extra conditioning too. I was disappointed when Derby came up back sore on Thursday, but I wasn’t entirely surprised. I’ve been working him more over his back in the last week than I have in a long time, and while I’m not killing him with work by any stretch of the imagination, he is working differently. So on Thursday we simply longed, and Friday Derby had the day off. 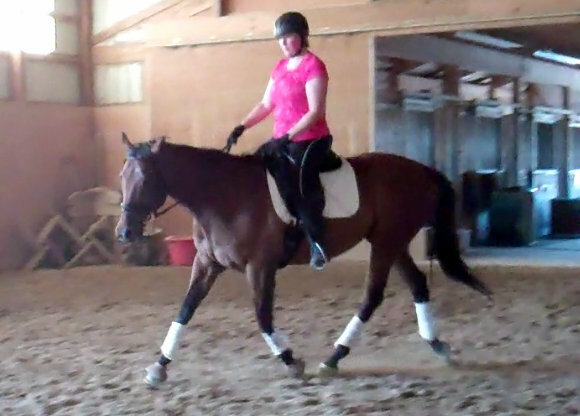 Saturday found him much improved, and we had a nice ride in which I was able to generate and hold correct roundness and connection almost from the beginning, and I got it in the canter, too. I am noticing that Derby is starting to try to lean a bit on my hands, but that’s corrected pretty simply by sitting up and applying leg. 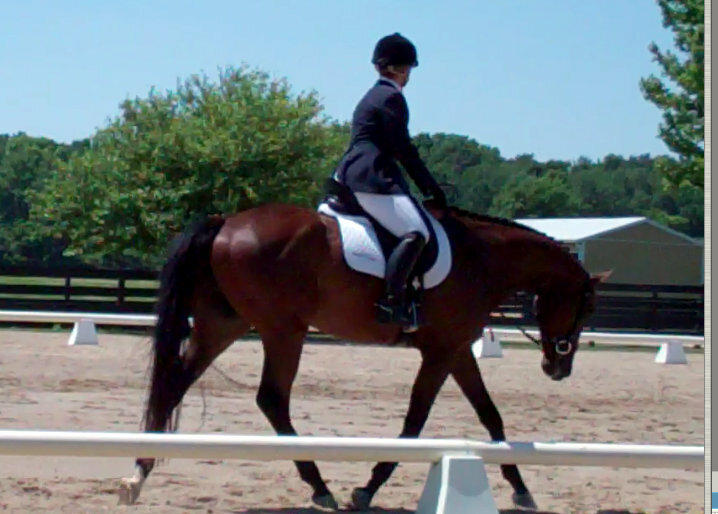 So work starts again with Monday’s lesson, and we’re looking at getting out to a show mid-August. Stay tuned! I’ll take six pounds, please. My list of things I must do in order to ride effectively is getting longer with each lesson. 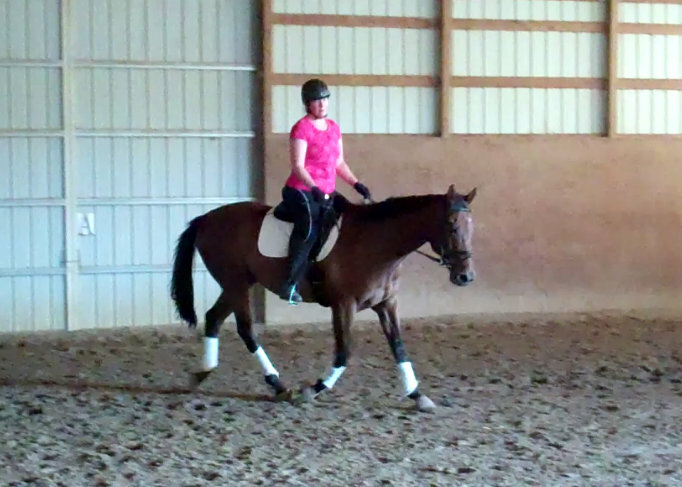 But, happily, my riding is getting better so I’m not complaining. Derbs and I have been busting our butts despite the heat. Tonight we got a little relief, riding outside as a storm was blowing in. The temps were dropping and the strong breeze felt great. At the outset, though, we were a bit stuck. 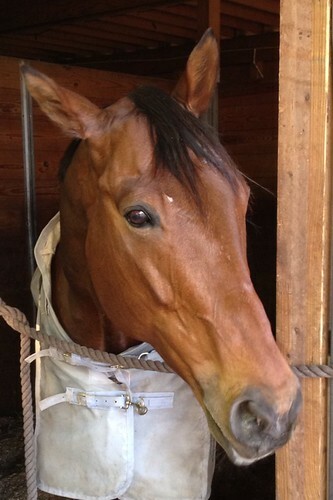 Derby was strung out, on his forehand, with his nose poking determinedly out. Like a cute little hunter. See? So I did. 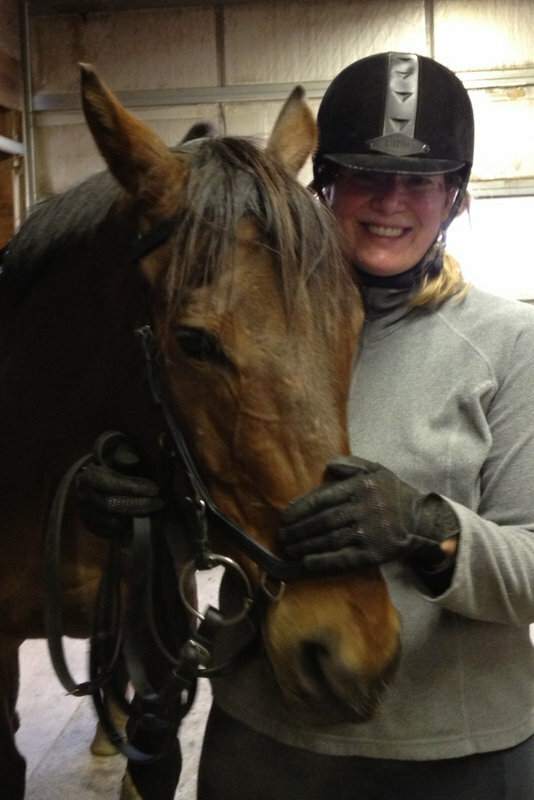 Yes, I shortened the reins, but no, I didn’t crank Derby’s head in. 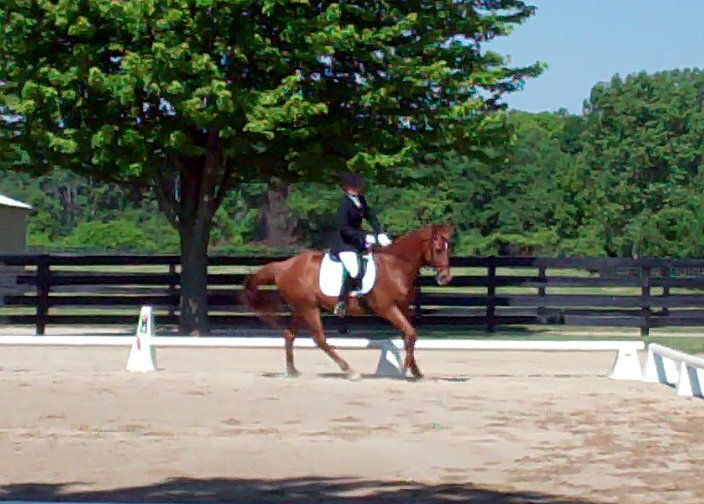 That’s not the way we roll at Rettger Dressage. 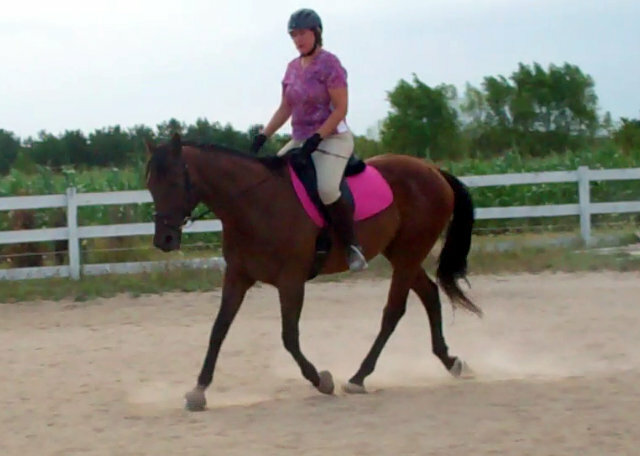 With my reins the appropriate length (over the withers, and not in my lap, for a change), I closed my fingers, and resolved to keep them closed. 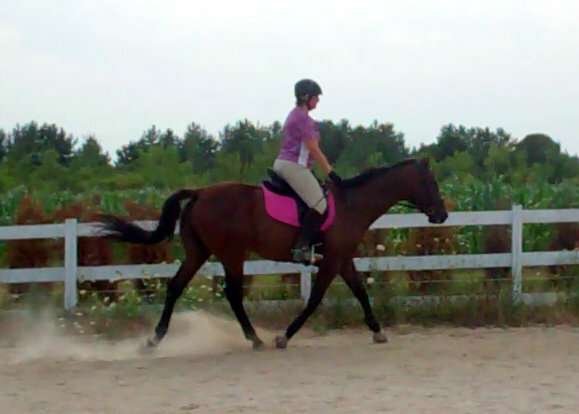 Moving off into a trot, I kept my elbows softly by my sides, not allowing them to creep forward. At the same time, I checked my position to ensure I wasn’t blocking Derby’s movement, and I used my inside leg to get the back legs to really move. The effect was immediate and profound. Take – and hold – plenty of contact. And don’t give it away by riding with loose elbows.